1 2019 MAZDA3 5-Door Sport. Base MSRP $26,715 (including $595 acquisition fee). 36-month lease, 10,000 miles per year. 36 monthly payments of $335 totaling $12,060. $1,995 total out of pocket. Lease rate available to well-qualified buyers and subject to credit approval. Must take delivery from dealer stock by 04/30/19. Residency restrictions apply. See dealer for complete details. May not be combined with other offers. 2 2018 MAZDA3. 1.9% APR financing for 60 months at $17.48 per month per $1,000 financed. Available to well-qualified buyers and subject to credit approval. Must take delivery from dealer stock by 04/30/19. Residency restrictions apply. See dealer for complete details. May not be combined with other offers. 3 See dealer for details. Offer expires 04/30/19. 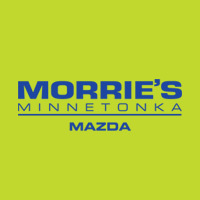 4 Offer not valid at Morrie's Chippewa Valley Mazda location. Offer expires 04/30/19.